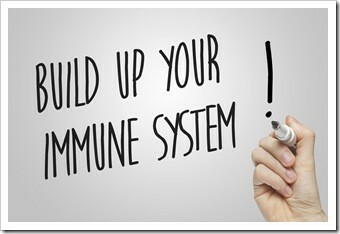 Read Jump Start Your Immune System This Fall by Dr. Barry Coniglio to learn more about Coniglio Chiropractic Wellness Center and our Chiropractic office in Mantua, NJ. Get Adjusted — Have you and your family’s spine and nervous system checked each week because your immune system is run by your central nervous system – Chiropractic kids are freakishly healthy — This is one great reason why! Avoid Sugar and Snacks – especially sugary, salty or fried foods, or foods with pesticides or preservatives in them. Kids will still get a ton of it at school unfortunately. However, limit it where you can. Steer your family towards fruit and vegetables instead. Get creative and save time with power smoothies. Reduce Dairy — Try using almond or rice milk instead. Take any child with asthma or ear infections off of dairy and they improve – just about every time. Add in some adjustments and the healing is even faster. This entry was posted on Tuesday, October 27th, 2015 at 1:14 pm and is filed under Health Articles. You can follow any responses to this entry through the RSS 2.0	feed. You can skip to the end and leave a response. Pinging is currently not allowed.